There is a happy disappointment when one of my children requests an outsourced birthday party. I am happy that I do not have to clean my house, set up a party, and clean my house again. I am disappointed because when I book a party at an outside location, it limits how much I am allowed to do. I am a little Type A, so it is hard for me to let someone else have control over the party activities. This year my daughter wanted an art party (art = really big mess). This turned out to be a GREAT choice for an away from home birthday. What are other good places to book a party? 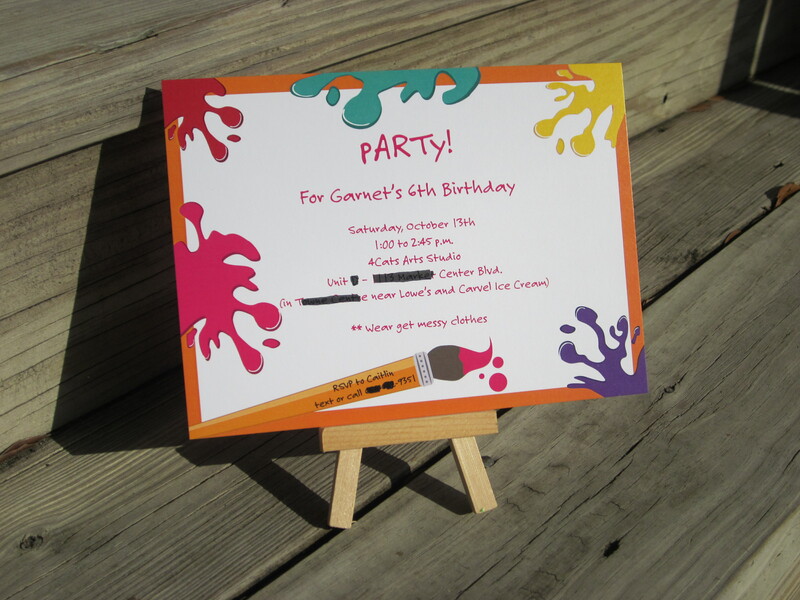 The Invitation: Often kid party locations (like a bounce party, children’s museum, Little Gym…) will give you pre-printed invitations with blank lines to fill in the name, date, and time. That is way too generic for me, and since I was already worried about the party not being personal enough, I had to order my own invitations. I ordered a printed card from MyExpression.com. Once I approved the proof, the invitations arrived within 2 business days, and I did not even select rush shipping! The Location: My basic criteria for an away from home party is to have an area dedicated to my group only. It is hard for the birthday child to see friends if you book a party at a location where you mix with the general population for the main activity and then come together at a table for cake at the end. Chuck E. Cheese anyone? I encourage (and by encourage, I mean tell) my kids to choose party locations where we are the only group there, or we get our own room for the whole event. 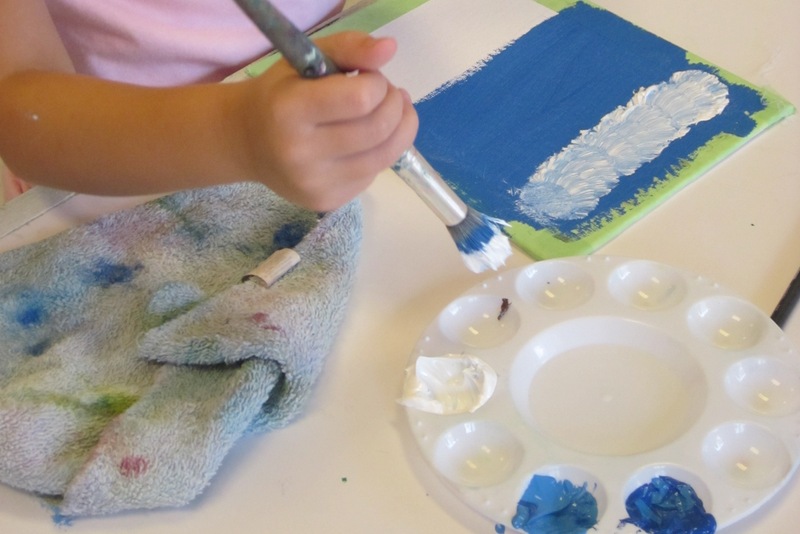 If you have a 4Cats Arts Studio in your area, I highly recommend booking a party there. At 4Cats, the standard party group is ~10 kids. You are in an area with only your group for the entire event. The Activity: My daughter chose from a variety of themes for her party. We chose the Fairy Party. 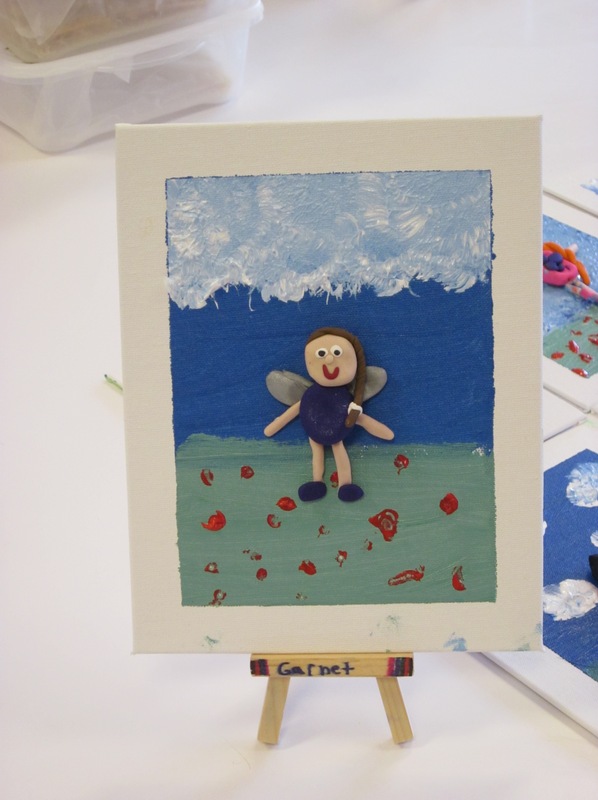 The party guests made a sculpey clay fairy, then painted a background on a 5×7 canvas board. The Snacks and Cake: I ordered 2 dozen cupcakes from the grocery store and had them iced in 6 different colors. 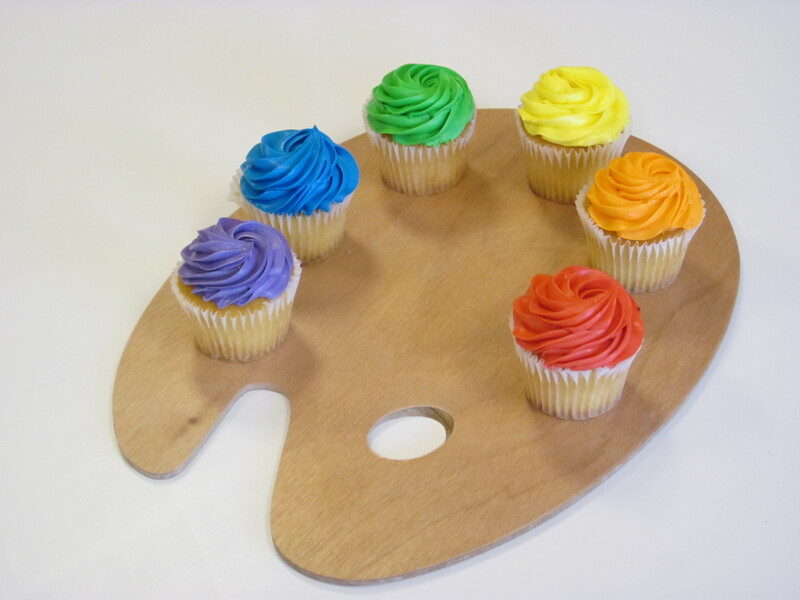 We set 6 of the cupcakes on a painter’s palette (Yeah, Pinterest!). We stuck one candle in each cupcake and treated the whole palette like a cake. For snacks, I served a new Chex mix in little mini paint pails. I also made my favorite kid sandwiches. 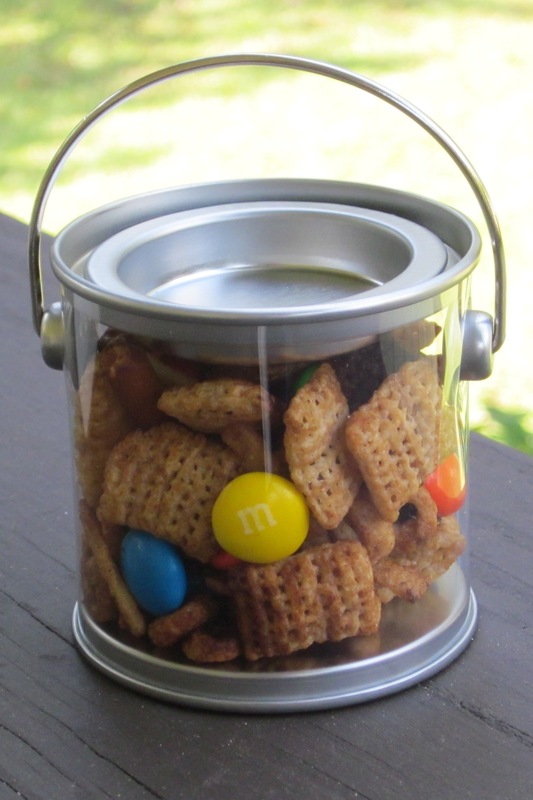 Click here for the Chex Mix and Party Sandwich Recipes. 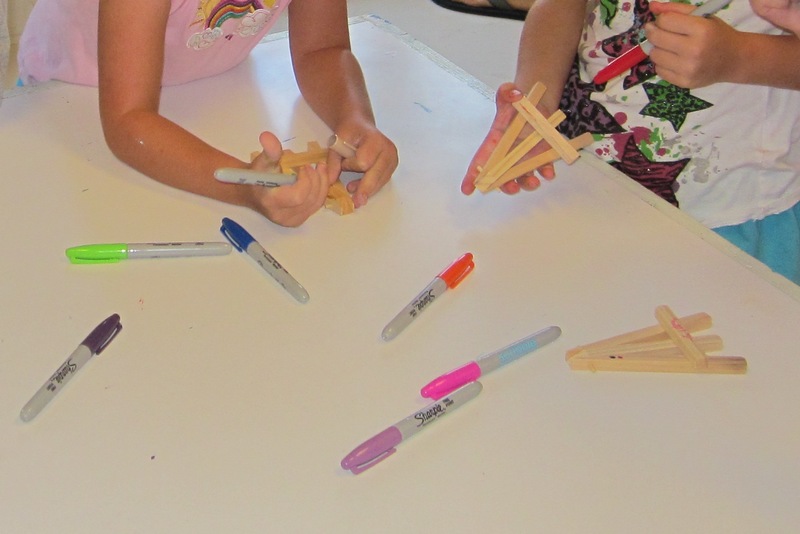 The Party Favors: While guests were waiting for parent pick-up, we gave each child a mini wooden easel to color with Sharpie pens. 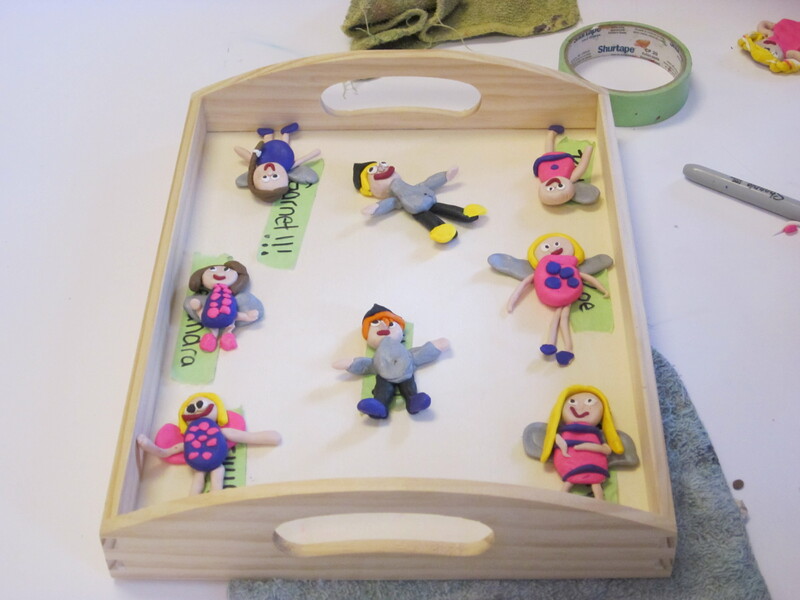 It was the perfect size to hold their sculpey paintings (and I think it may be the perfect size for American Girl too– FYI). The kids took home their fairy sculpey art piece, the mini wooden easel, and the mini paint pail.